With Christmas just a few days away, many will be breaking out their favorite Christmas movies to watch with their family and friends. 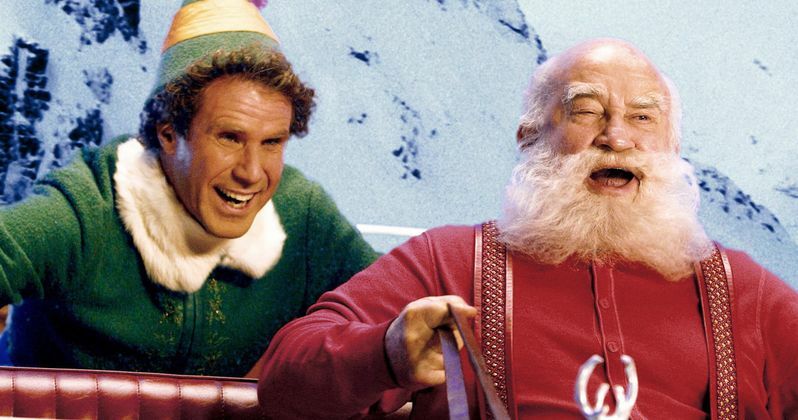 FandangoNow, Fandango's premium digital video service, got into the holiday spirit by surveying more than 1,000 movie fans, asking what their favorite Christmas movies were, which were made in the 21st Century, from 2000 and on, and the winner was the 2003 holiday classic Elf. Here's what Fandango Managing Editor Erik Davis had to say about this beloved Christmas movie in a brief statement. "Elf is the most beloved holiday movie in my household because it's a film that makes you feel warm, happy and silly, and everyone needs some of that come the holidays. That, plus Will Ferrell's elf antics will never get old!" The top 5 holiday movies are rounded out by The Polar Express, Love Actually, which actually got a Love Actually 2 sequel of sorts on NBC's Red Nose Day special, along with Dr. Seuss' How the Grinch Stole Christmas and the R-rated classic Bad Santa. The top 10 are rounded out by The Holiday, The Best Man Holiday, Krampus, Arthur Christmas and The Night Before. All in all, there were 28 movies in total selected by the fans, which were all produced on or after the year 2000, which showcases the diverse array of holiday movies that have come out over the past 17 years. The rest of the field of favorite Christmas movies as voted on by the FandangoNow fans include Disney's A Christmas Carol, last year's outrageous comedy Office Christmas Party, Family Man, Tyler Perry's A Madea Christmas, with Santa Clause 2 in 15th place. That is followed by Christmas With the Kranks, Four Christmases and Santa Clause 3, but the very first movie, The Santa Clause, isn't eligible for this list since it was released in 1994, but it seems that the franchise still holds up quite well with fans. The final 10 movies on this list are A Very Harold and Kumar Christmas, This Christmas, Fred Claus, Almost Christmas, Just Friends, Black Nativity, Unaccompanied Minors, Deck the Halls, the sole foreign film on the list, Joyeux Noel and Love the Coopers. We reported earlier this month that Kurt Russell is starring as Santa Claus for an untitled Netflix movie, so it's certainly possible that movie could find a place on this list in the next few years. If you're in the mood to start watching these holiday movies now, you can head on over to FandangoNow for options on how to rent or purchase these movies.